There are two groups commonly associated with renting. One is young people. The other is people living in urban centers. Conjure up an image of the typical renter and you’ll probably end up imagining someone in their 20s living in a downtown apartment building. The suburbs, on the other hand, have been traditionally thought of as the place you move to when you’re ready to settle down and buy a house. However, new numbers tell a different story. 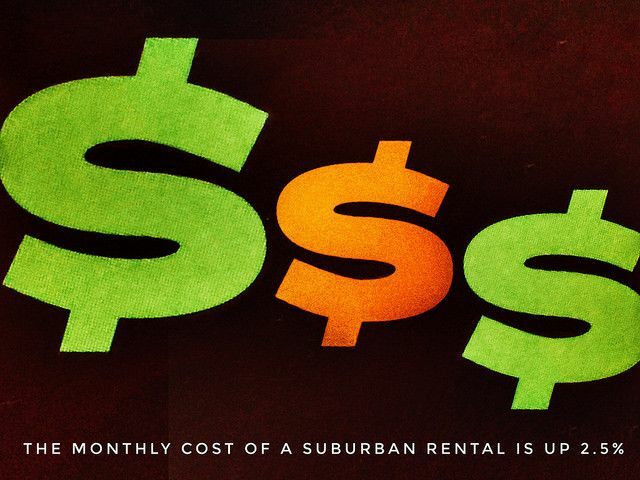 In fact, the latest data shows rental costs are actually rising faster in the suburbs than in cities. Why? There are a couple of reasons. First, rent has been rising rapidly in cities for quite a few years now, which is causing people to look outside city limits for a more affordable place to live. Another is a relative lack of rental properties in the surrounding suburbs. Where there are fewer options, potential renters are going to find rising prices. One option for discouraged renters is to compare the costs of homeownership in their area. In many markets, buying is actually a more affordable option or, at the very least, compares favorably. More here.